You are going to live for personal or professional reasons in Paris for a longer period of time? You are looking for help to find a nice place to settle? 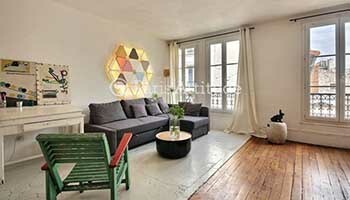 Our agency is specialized in furnished rentals in Paris. The city of lights is not only one of the world's most attractive tourist destinations, it is also the adopted home of many expatriates coming from all over the world. Tens of different nationalities are represented here in large communities with origins in Asia, Africa, America or other European countries. You will find for instance a large American population in the 16th arrondissement, a calm and residential area. With its wide boulevards and the Butte-aux-Cailles, the 13th arrondissement is the home of a huge Asian community. 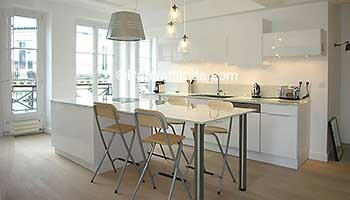 Consult our selection of ready-to-live-in apartments in the arrondissement that you like best. With the Tuileries, the Rue de Rivoli and the river Seine, the famous 1th arrondissement could be very well what you are looking for. But maybe you prefer the diversity of the Marais, in the 3th and 4th arrondissements. Source of inspiration for many artists, Saint-Germain-des-Prés (6th) will charm you, too. In the 7th, of course, the Eiffel Tower waits, symbol of Paris in the whole world. For more information, contact us.